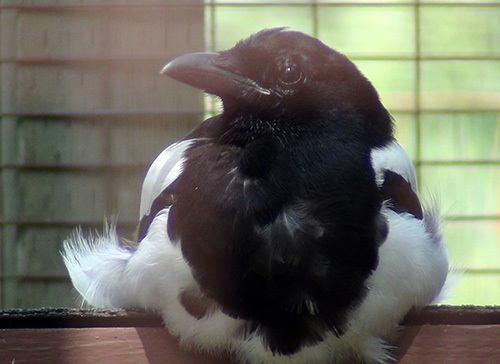 Description: Black-billed magpies are slightly larger than a blue jay, mostly black and white with long tail feathers. They tend to make long gliding flights, during which their conspicuous white wing patches flashing and long tails make them easy to identify. They have a wingspan of 56-61cm (22-24ft and can weigh up to 210g (7.4oz). Diet: Opportunistic omnivores, magpies will eat wild fruit and grain, insects, small mammals, eggs and nestlings of other birds, and carrion. A ground forager, the magpie will explore under objects in search of insects and small prey. Life Cycle: Both male and female build the nest, after which the female will lay and incubate a clutch of 5-9 eggs. During this time the male will bring food for the female. Young are born after 16-21 days, and ready to leave the nest 25-29 days after hatching. Average lifespan is 4-6 years. 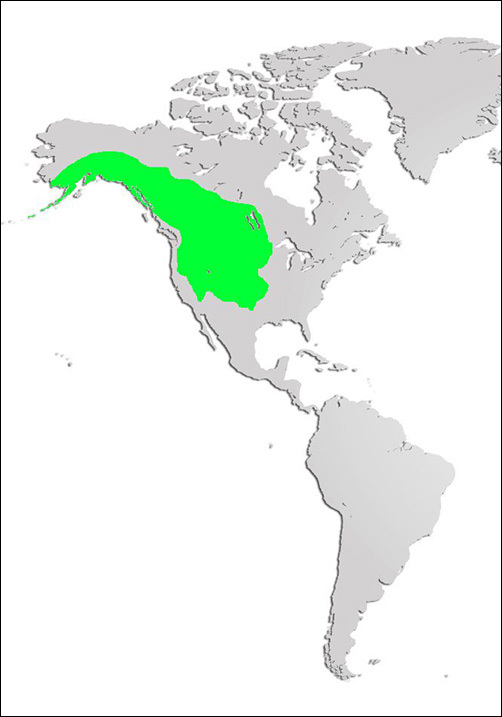 Habitat: Common throughout Western North America, black-billed magpies prefer broken woodlands with open areas, grasslands, agricultural and urban areas. Commonly nests nearby streams. Did you know? Black-billed magpies will land on the backs of large mammals and consume ticks they find there.